If you or a loved one was involved in a serious wreck caused by another driver’s carelessness and you suffered injuries, first and foremost get medical treatment. This means if an ambulance arrives at the scene, take it and get treatment at the ER. Do not put off getting examined by a trained medical professional, even if you think your injuries “aren’t that serious.” You may have an injury that is not visible, such as a concussion. When able, try to obtain copies of the accident report filed by state police, the name and contact information of the negligent driver, their auto insurance information, and any photographs taken of the accident scene. If there were any eyewitnesses to the accident, you should obtain their contact information as well. If this sounds like a lot of work, it is. This is a big reason why you should contact a Madera personal injury lawyer. 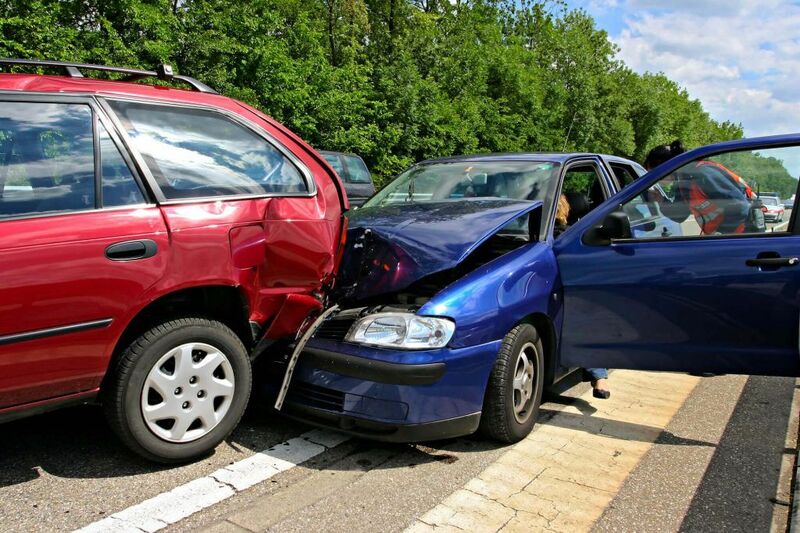 The car accident injury claims process can be complex and tеdiоuѕ. You need to collect an array of documents and invoices, speak to witnesses, contact insurance companies, and so forth. An experienced Madera personal injury attorney can take the pressure off of you and handle this evidence collection process and file a claim with the negligent driver’s insurance company. Your car accident lawyer will also negotiate on your behalf and pursue maximum compensation. Once an auto insurance company is notified of an accident, a claims representative will likely call you and ask for a recorded statement. It is best to politely decline and refer them to your lawyer (if you have already hired an attorney). Why? Because innocent statements could potentially be manipulated to make it look like the accident was your fault or that you were not really injured in the collision. The claim adjuster may also try to pressure you into agreeing to a low-ball settlement that is far less than you deserve based on your medical bills, lost wages, and other damages. Injury lawyers spend their days working to resolve claims day in and day out. They are specialists with extensive experience practicing in this area of law. This experience and exposure to the inner workings of the injury claims process can prove invaluable when negotiating with an insurance adjuster and be pursuing maximum compensation for your claim. Injury attorneys have a better understanding of all available insurance coverages. This is critically important because the amount you can reasonably expect to recover through a personal injury claim depends largely on the type of auto insurance coverage you can access. If for example, the negligent driver has bare bones auto insurance coverage or, even worse, no auto insurance, you will need to file an uninsured or underinsured motorist claim through your own auto insurance policy. Injury lawyers can give you a rough estimate of what you can reasonably expect to recover through an injury claim, especially once they have reviewed your medical records, lost wages, and other related damages stemming from the accident. Injury attorneys can also ensure you do not miss out on important filing deadlines. For example, a car accident injury lawsuit needs to be filed within two years from the date of the accident. If it is filed after two years, your case will likely get thrown out of court. The video below explains what to expect in the first consultation with a personal injury lawyer. Another key reason you should contact an attorney about your car accident is the fact that it is low risk and high reward. It is low risk because most personal injury attorneys work on a contingency fee basis. This means they get paid contingent upon reaching a settlement or winning a jury verdict for you. If they do not obtain a financial recovery, you do not owe them any legal fees. If you are looking for a Madera auto accident attorney for help concerning the injuries you suffered in a car wreck, I am here to help. You may be frustrated by discussions with the other driver’s insurance company and maybe even with your own insurance company. I'm Ed Smith, a Madera car accident lawyer. If you or someone you hold dear has suffered injury or wrongful death due to a negligent motorist, call me today at (559) 377-7676 or (800) 404-5400 for free, friendly advice. When you call, we will go over the details of your accident case and decide how best to move forward to recover compensation for your losses from the at-fault party. I’ve been helping residents in Northern California and their family members since 1982. I handle accident cases involving wrongful death or a serious personal injury. My client reviews are available for your inspection here: Google, Avvo, and Yelp. I am an injury lawyer in the Million Dollar Forum. This fellowship is for top-ranking accident attorneys who have obtained verdicts of one million dollars or more. I'm also a member of the Top One Percent. Some of the Verdicts and Settlements achieved by our accident attorneys are available here. I founded the California personal injury website called AutoAccident.com.